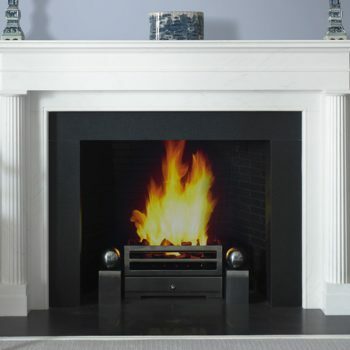 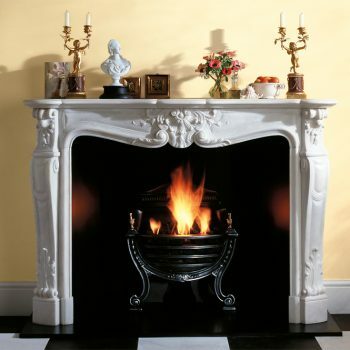 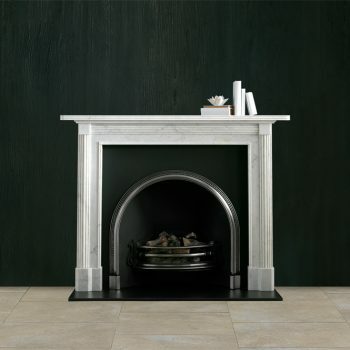 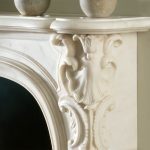 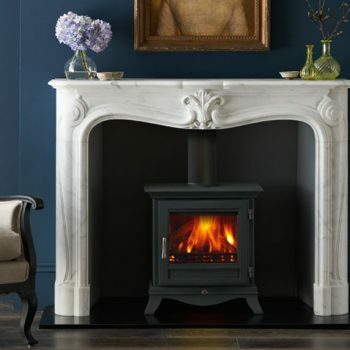 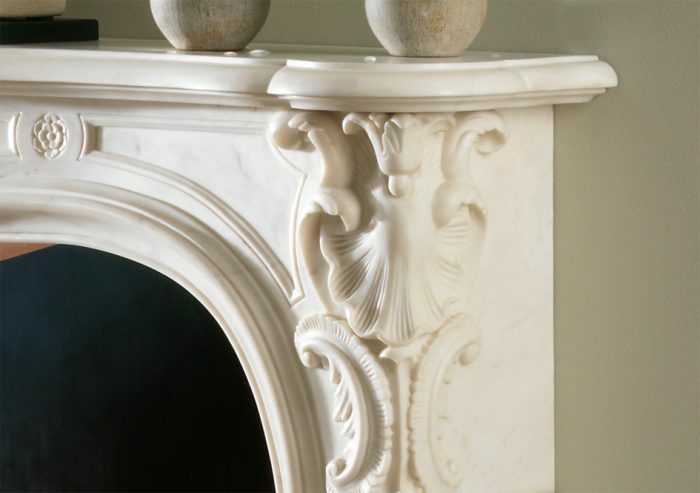 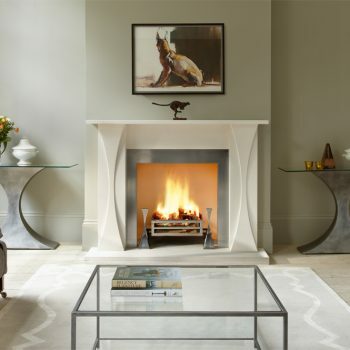 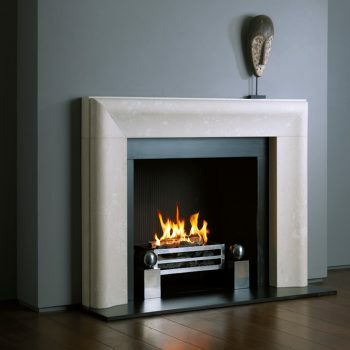 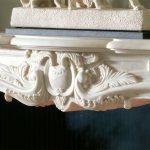 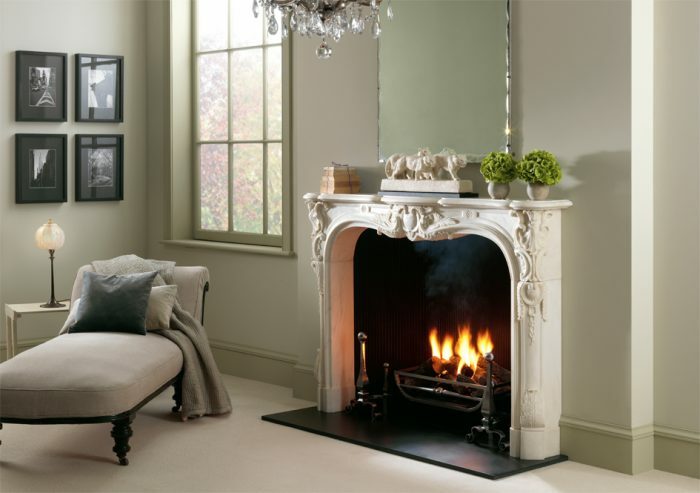 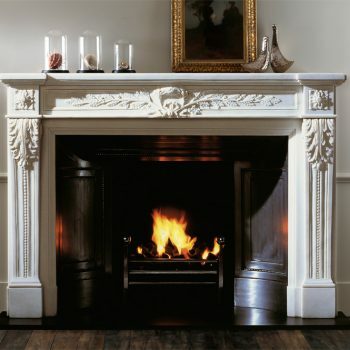 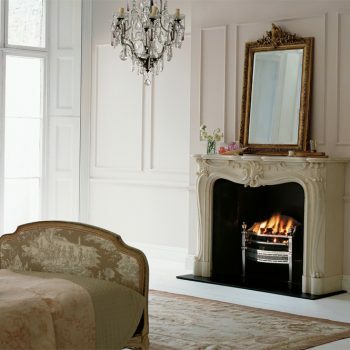 Reflecting the popularity of the French rococo style in England during the 18th century, the Navarre is an English chimneypiece that copies the French style whilst retaining the taller proportions typical of an English chimneypiece. 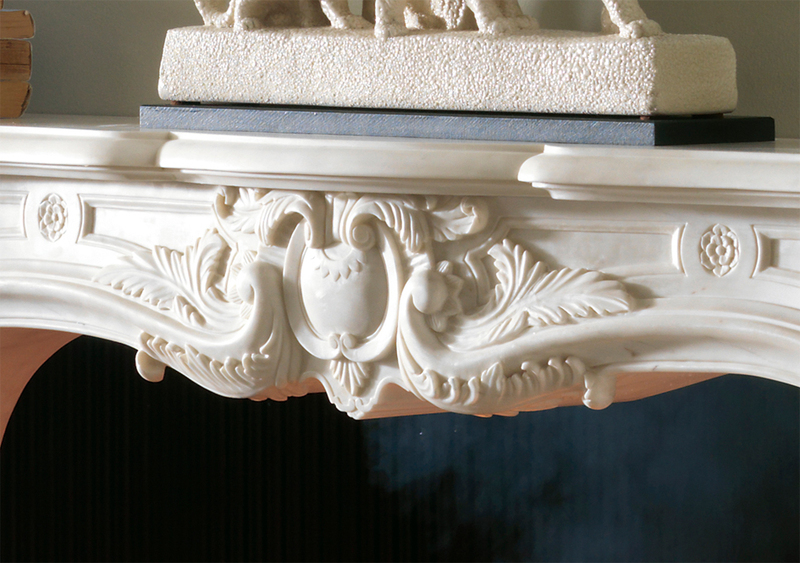 Carved in statuary marble. 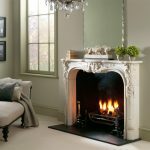 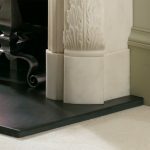 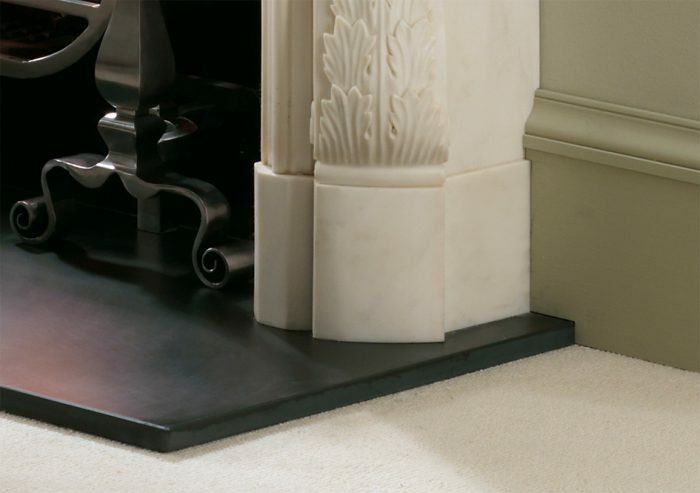 It is shown with forged steel Burton andirons, Morris fire basket for dogs, black slate hearth and Reeded cast iron interior panels.